Large party looking to attend The Solheim Cup? Then this is the perfect package for you! Enjoy your own home from home staying at the luxurious Hawkswood Country Estate. 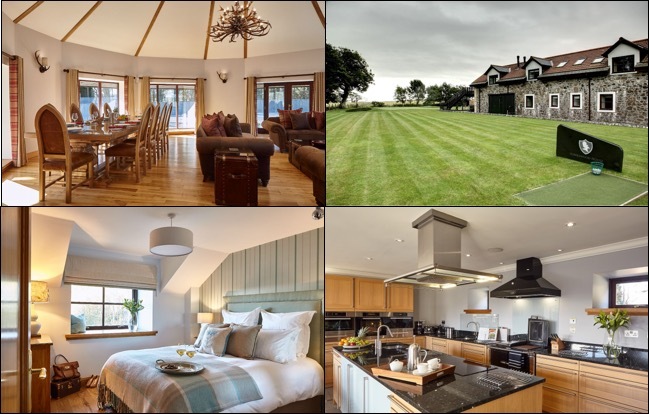 Set in the picturesque Hamlet of Peat Inn, just a few miles from ‘The Home of Golf’, St Andrews, the Estate contains 3, 5 star properties; Hawkswood House, The Roundel and Bowhill B&B. Attend all 4 days at The Solheim Cup, play 2 rounds of fantastic golf in the St Andrews area and perfect your golf skills on your very own short game area and driving range on site at the Hawkswood Estate! Arrive Edinburgh Airport, meet and greet by representative of Fairways Scotland and meet your driver. Travel to your exclusive accommodation just outside the town of St Andrews. Spend the rest of the day to relax & settle in. Perhaps enjoy some practice time on your own short game practice area and driving range! Check out of your hotel and travel to Edinburgh Airport for your return flight home.